Have digital assets emerged from the 2018 “crypto winter”? The first quarter of 2019 may signal that they have. In the blockchain industry this past quarter, it has been difficult to ignore the controversies surrounding QuadrigaCX and Tether in the digital asset sphere, and the calls for scrutiny in this sphere resulting from that. Regulators in Canada and the US have begun obtaining feedback and consultation from experts in the industry, while initial coin offerings (ICOs) have practically steered to a halt. However, Bitcoin prices have risen 53 percent year-to-date to US$5,031.01, and Ethereum prices have risen by 22 percent over the year to US$163.72. Even so, the two crypto heavyweights are not leading the most recent rally. Instead, it is altcoins, such as Litecoin, that are leading the way. Meanwhile, security tokens are continuing to enter this space. Security tokens are a form of digital asset that can be used for things such as providing access to a network and offering rewards or inclusion in profit sharing within a network. These tokens are gaining market share, adding a new shift in the market, while the onset of stablecoins, a form of security token, is also garnering interest. 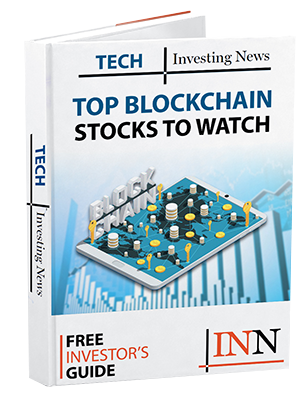 With the first quarter over, here the Investing News Network (INN) is looking at some of the major trends and takeaways in the blockchain space that have taken place this year so far. Read on to find out what happened in Q1 and to get a look ahead on the sector as we move into the second quarter. The first quarter saw Bitcoin and Ethereum slip out of the “crypto winter” seen in 2018. Prices rebounded after precipitous drops of over 70 percent last year for both major coins. In parallel, more companies are beginning to offer and accept payment in cryptocurrencies. In March, Swedish firm Bitrefill announced via a tweet that users are now able to pay for Airbnb services using five cryptocurrencies through its app. Users can also pay for Netflix (NASDAQ:NFLX), along with other services, through the app. Beyond cryptocurrencies, experts are talking about new additions to the blockchain family — the aforementioned stablecoins and security tokens. Barclays (LSE:BARC) analyst Ross Sandler told CNBC in March that a rumored stablecoin developed by Facebook (NYSE:FB) could generate the company upwards of US$19 million by 2021. “Merely establishing this revenue stream starts to change the story for Facebook shares in our view,” Sandler said. As such, a number of stablecoins have now entered the marketplace. Stablecoins are coins that are backed by assets, for example by real estate, gold or fiat currencies. Emerging stablecoins include TrueUSD and Goldman Sachs-backed (NYSE:GS) USDC by Circle. The first quarter saw controversy surrounding Tether, which claimed that it was backed 100 percent by the US dollar. However, the company has yet to release any audited financial reports. “The USDC coin is fully audited. It’s brought to you by two of the most credible sources in the industry and it brings tremendous value because … it gives you all of the things that people look for when transferring assets from one place to another without the inherent volatility, because it’s backed by dollars,” David Martin, chief investment officer of Blockforce Capital, told INN. Henry James, deputy CEO of Fincross International, told INN in an interview that the market share for security tokens is getting very interesting. “The two things holding back the security token market today are the lack of infrastructure to support that market and to make it an efficient market to actually enter and to then trade on the secondary market, and also regulations,” James told INN. Meanwhile, both the US and Canada’s security regulators issued reports in the first quarter calling for feedback on regulation for crypto assets. “I think the regulation is needed for the space to grow, 100 percent,” Martin told INN. He further explained that exchanges such as Coinbase and Gemini are welcoming regulation, as it brings more legitimacy into the digital asset space. A key takeaway moving ahead into the rest of 2019 and beyond is that blockchain will have the ability to be used in a number of new and different ways. Case in point: Ripple allows banks to do transfers internally. In January, it added 13 new financial institutions to the customer base of RippleNet, its payment network. Additionally, in February, JPMorgan Chase (NYSE:JPM) created a coin that enables its customers to make cross-border payments. As new coins and tokens come to the forefront, investors can begin to evaluate them and compare them against each other. “You’re seeing differentiation between different projects and coins, which leads to the fundamental portfolio manager picking stocks,” said Martin. As a result, education is becoming more vital within this space. “The most important things I think that we’re discovering on our side is that there’s a need for education within the financial community — whether that’s a financial advisor, whether they’re institutional traders or portfolio managing traditional assets,” said Martin. With the industry still nascent, the emergence of clear valuations, methods and fundamentals will become important for the industry and investors. Maintaining and establishing a network remains one crucial pillar for digital assets going forward. “I firmly believe that the use of cryptocurrencies will increase over time,” said James. As use increases he sees these coins providing more utility to end users and consumers. Blockchain developments continue to take shape beyond the digital asset realm. For example, blockchain could transform the insurance and shipping industries. EY is currently involved in building Insurwave, the first maritime blockchain-backed insurance platform. The company is working with industry professionals from Microsoft (NASDAQ:MSFT), Guardtime, Acord, Maersk (OTC Pink:AMKBY,CPH:MAERSKA), MS Amlin, AXA XL and Willis Towers Watson (NASDAQ:WLTW). “If asset data can be collected and shared across a blockchain network, in real time, it gives participants in shipping a much better view of how their assets are behaving — and, significantly, how they interact with insurance mechanisms,” EY said. So far, 2019 has seen the evolution of a number of trends, such as security tokens and advancements in regulation. Additionally, companies from big corporations to startups will continue investing in blockchain systems to integrate into their operational fabric.